Pecan Tree on the Burke Road end of Darlington Rd. How do you pronounce Pecan? Pee-can or p’kahn? No matter, they are both good, and so is the tree and it’s nuts. 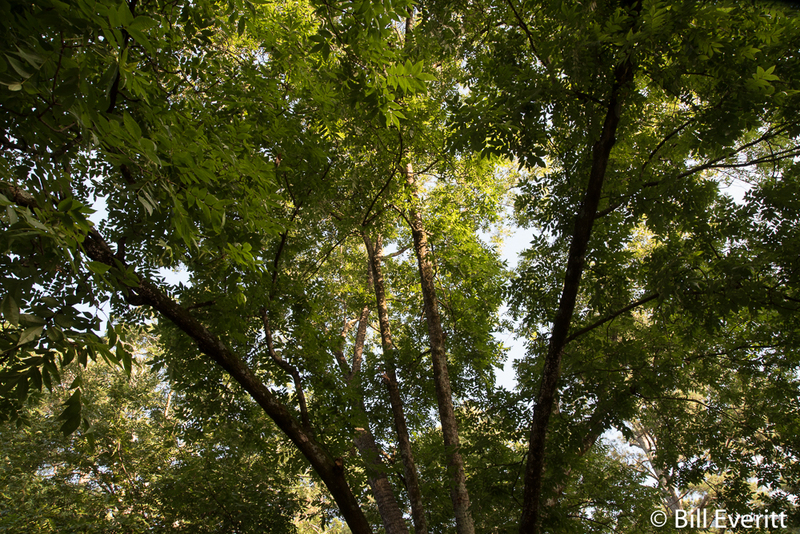 Did you know we have Pecan trees in Peachtree Park. At least one rather large one on the Burk end of Darlington Rd. Those industrious Eastern Gray Squirrels keep planting them in our yard, and if they would just site one correctly, we might let it grow. Pecans, which are a species of Hickory, are native to Georgia. “Pecan” is from an Algonquian word variously referring to pecans, walnuts and hickory nuts, or more broadly to any nut requiring a stone to crack. If you grew up in the south, you remember Stuckey’s. Stuckey’s was started in the early 1930s in Eastman, Georgia because founder W. S. Stuckey, Sr., had a successful pecan harvest from his family’s orchard and decided to offer a portion of the crop for sale in a lean-to roadside shed. And today if you ride through south and middle Georgia on non-interstates you’ll pass acre upon acre of beautiful pecan plantations.